Since I rarely use it, I keep forgetting the details, so I figured; well, put it on my website so I can find it again when I need it in the future and maybe others will benefit from this as well. 5What do we find in a Cookie? In this article we focus on client-side cookies; Cookies generated by, and stored in your browser. Cookies are in essence a means to store data locally (client side), in the browser of the user that is visiting your webpage. You could see cookie data als a small text that contains the information you’d like to store, which can be accessed again at a later time. For example the users preferences or information like; Shopping cart content, Last viewed items, or previous page, How many rows to show in a list per page, Which page you’re on when paginating a long list, Preferred name, Preferred font size, etc. Cookies have gotten a bad rep because of advertising firms using it to “store” your surfing behavior, so they can target their advertisements better. You can argue if this is a bad thing or not – but do keep in mind that these advertisements contribute to paying for free information, and does it really matter that an ad that is being displayed better matches your needs? As usual, with most of these topics, we tend to either ignore the issue or go way overboard with regulations (hello retarded EU Cookie law, and hello retarded EU law on maximum power on vacuum cleaners – in all honesty, i think we have bigger problems to deal with). Anyhoo, I better not go on a rant on these topics. Cookies still work, and will keep working in the future, and certain politicians should start looking for a real job. Those users who disable cookies will find that most websites will not work as expected, so I’m guessing that the majority of users still allows cookies. Please note that there are several kind-a alternatives to cookies, server-side included, but they all have their own downsides and complexity. Session Cookie, is a cookie that gets deleted when the user closes the browser so it’s of a temporary nature. Persistent Cookie on the other hand is a cookie that has an expiration date/time. It’s information remains available, even after closing a browser, as long as it has not reached it’s expiration date or time. A Secure Cookie can only be transmitted over an encrypted connection (for example over HTTPS) and cannot be transmitted over unencrypted connections (HTTP). Theoretically this makes a cookie more secure. When talking about a Cookie Domain, we mean that we assigned a specific domain to a cookie. Code from other domains will not see these cookies. The SameSite Cookie can only be accessed from the same domain it has been created with. You could compare this with setting a fixed domain for a cookie. Let’s say the user went to Google.com and the Google page stored the search phrase as a cookie. In case of a SameSite cookie, the cookie would originate/belong to the google.com domain. Now when the user opens a webpage from for example Tweaking4All.com, the code in this newly opened webpage would not be able to access the SameSite cookie – thus keeping the stored data safer. For a cookie you can set a specific path as well, the so called Cookie Path. For example a cookie value that would only be accessible when the web-page is in a given path (and domain), making it’s “range” even tighter and more secure. Most browsers also block so called Super Cookies. A Super Cookie can be seen as a SameSite Cookie or a Cookie with a defined domain, but instead of using a regular domain (google.com) it uses the top-level domain (for example everything that ends with .com). So a SuperCookie can be accessed from any other .com domain for example, which is of course a major security concern. Finally there is the Zombie Cookie or Ever Cookie – which keep regenerating themselves even after you delete them. When the cookie’s absence is detected, the cookie is recreated using the data stored in these locations. This appears to happen with certain HTML5 and Flash situations that I’m not familiar with. What used to be the easiest way, was by simply creating a HTML (plain text) file with NotePad on your desktop, but with modern browsers that can come with unexpected complications. Normal webpages are opened from a web-server using http:// or https://. A file on your desktop however, will be opened with file:// and this is where certain browser will block certain activities like accessing cookies. So far (on my Mac) I have noticed that Safari is playing nice (version 10.1.1 in macOS Sierra 10.12.5), but Google Chrome is not (version 59.x). Tricks for Google Chrome to enable this in do not always seem to work or appear at least unreliable and cumbersome. A web-server does not require a magically server room, like we see them in the movies with rows and rows beautiful black server racks, with blinking lights and nicely organized or even invisible cables all over the place. 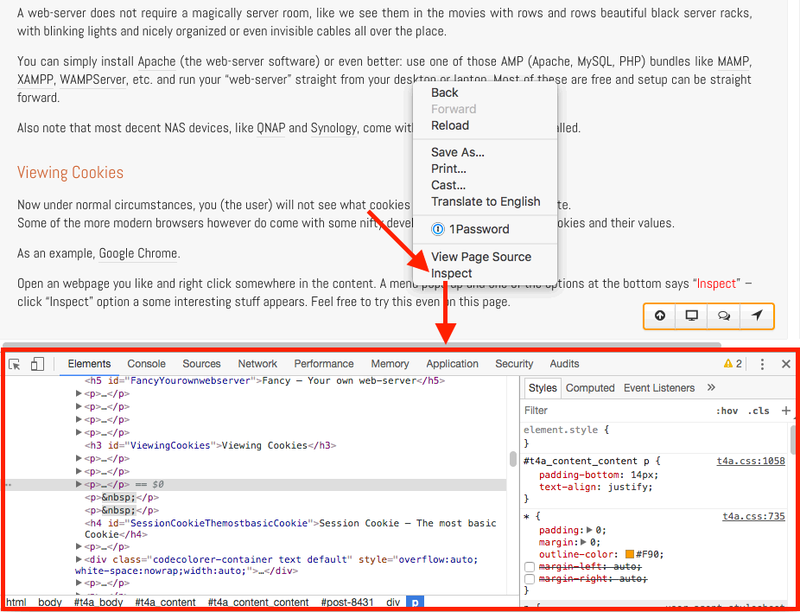 You can simply install Apache (the web-server software) or even better: use one of those AMP (Apache, MySQL, PHP) bundles like MAMP, XAMPP, WAMPServer, etc. and run your “web-server” straight from your desktop or laptop. Most of these are free and setup can be straight forward. Also note that most decent NAS devices, like QNAP and Synology, come with a web-server already installed. Now under normal circumstances, we (the user) will not see what cookies are being stored by a website. As an example, Google Chrome (most modern browsers offer such a feature). Open an webpage you like and right click somewhere in the content. A menu pops up and one of the options at the bottom says “Inspect” – click “Inspect” option a some interesting stuff appears. Feel free to try this even on this page. In case the view does not open at the bottom, but for example on the side, then you can change that by clicking the 3-dots button and select the view you prefer. To see the store cookie values, click “Applications” on top, and on the left side under “Cookies” choose the link of the webpage you’re looking at. All cookies for this domain will now be shown as a Name-Value pair and additional options like Domain, Path, Expiration etc. Just above the grid, on the left, just above the “Name” column, you will also see 3 buttons which you will use frequently: “Refresh“, “Delete All Cookies” and “Delete Selected Cookie“. What do we find in a Cookie? In the following examples and code, we assume you have cookies enabled in your browser. Each of these pairs can have additional properties like for example expiration date/time, wether or not it is secure, etc. Properties, like expiration data and such cannot be read! Only written! Creating a cookie is simply the same as defining a value pair – which automatically adds this pair to the string called “document.cookie“. Changing the value in a cookie is done by defining a value pair with the same “name” but holding a different value, which then automatically replaces the old value. Deleting a cookie is done by simply letting them expire by setting the expiration date in the past. 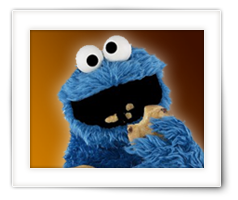 The variable “myCookie” gets a copy of the text stored in “document.cookie”. The “alert()” function then displays is as a popup dialog. Obviously, when you run this right now, it would display an empty message, since we have not stored a cookie yet. Also keep in mind that I create a full (minimalistic) webpage with this code, HTML included, which would be the way to do it if you would want to test this as a file on your desktop (name it something like test.html) or on your web-server if you have one. We will start with the most basic cookie: the Session cookie. This would be simplest cookie you can create and is referred to as a “Session Cookie” since it does not live outside of a session, so it gets deleted automatically when you close the browser. Storing sensitive information like usernames and such, in a cookie, is not really a BAD idea – here it just serves as an example. Obviously, we didn’t see anything exciting happen, so use the web developer tools of your browser to see that the cookie has actually been set. 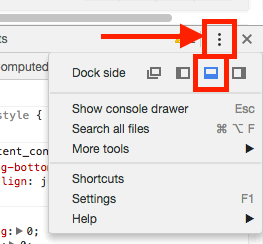 You can use the “Inspect” option from Google Chrome on the JSFiddle page as well. This will also be used to delete a cookie, by setting the expiration date to a date in the past – your browser will remove the cookie based on that alone. The date format for cookies must be in a UTC/GMT format (i.g. Sun, 22 Oct 2017 08:00:00 UTC), so correct for your timezone if needed. UTC versus GMT: both indicate the same time, however: UTC is a time standard, whereas GMT is a timezone. UTC is preferred. Here we can see the name, value, domain, path, expiration date/time, size (number of characters of name + value), HTTPOnly, Secure and SameSite. The alert on the other hand only shows “username=Hans”. properties of a value pair (like expiration) is not returned to use when we read document.cookie. The fact that we can see this info in the web developer tool, is because these tools are part of your browser and allow looking into the inner workings – which is great for developers and for us while we are learning more about cookies. Making a cookie secure is pretty easy as well, we simply add the option “Secure”. The “Inspect” option in Google Chrome, might require you to click the refresh button in the web developer tools (as indicated before). You will now see a checkmark in the “secure” column as well. The same goes for making a HTTPOnly cookie, we just add “HttpCookie” – before doing so, you might want to delete all cookies in the web developer tools of your browser. SameSite cookies, if supported by the browser, knows two variants: strict and lax. Here strict is the preferred setting, since it closes down all cross domain access. This again is a tricky one, since it might only show something with your local web-server. 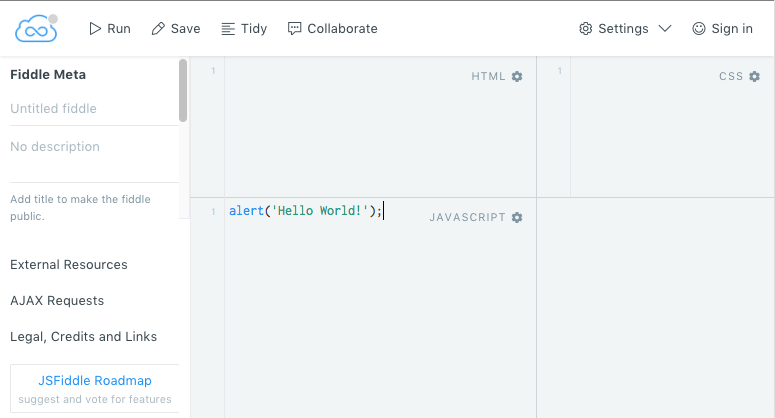 A file or JSFiddle might not show anything in the “alert()”, but the web developer tools will show that the cookie actually does exist. We can define a domain and path in which a cookie can be accessed. To limit a cookie to a certain domain, you can try the following two examples. The first one will use a random domain, example.com. The second example will use the domain jshell.net – which is the domain used by JSFiddle. Note : when entering “example.com” as the domain, the cookie can only be accessed from that exact domain, but not from sub domains. When adding a period in front of the domain, for example “.example.com” then the cookie can be accessed from sub domains as well (ie. forum.example.com, email.example.com, www.example.com, etc). You will notice that there is no cookie and the alert is not showing anything either – which again is correct since we are not allowed access to these cookies, since we are working in the wrong domain (not example.com). This second example WILL generate a cookie that is visible and the alert will show the cookie as well (when testing this in JSFiddle, since JSFiddle runs in the jshell.net domain). We can narrow this down by adding a path, which would only allow access to this cookie if we are in the right domain and path (if Domain is not defined, the current domain will be used). The following example the following tells the browser to only access this cookie when we are in the path /secretdata (on the current domain). So if we would be working on the server with domain example.com, this would work for pages in for example http://example.com/secretdata and it’s sub paths like for example http://example.com/secretdata/morestuff. Obviously this is a little trickier to test – and you might not need this ever. It is recommended to add the “Path” to your cookies so the browser will not get confused too much. By default the cookie will be relative to the page path you’re working with. But if you want to access the cookie from another page on your website, then the cookie might actually not be accessible. If the cookie should be readable throughout your entire dome then always add: “Path=/;“. To illustrate how things get confusing, try the following code. The first “username” cookie will be relative to this page, the second “username” relative to the entire site. Since one was defined without path (relative to this page) and one with path (relative to the website), suddenly the browser has 2 cookies with the same name – which obviously might result in unexpected behavior when trying to read the cookie. In the example above: first we create the cookie username=Hans relative to this page and the alert confirms this. The next cookie however is defined as a new (!) cookies username=John with Path=\ (enitre domain). The alert now actually shows 2 cookies with the same name: username=Hans; username=John. So which one do we use in our code? In the 3rd part we change the value of one of the page relative cookies, for example because we forgot to add the path, and guess what … things become messy real quick. Here you can see how important it can be to properly define the path. So this cookie holds the username=Hans value pair, can be used until Sunday October 22nd, 8 AM UTC (GMT), and only be accessed in the email.example.com domain with the path /secretdata, cross domain use is prohibited (SameSite), HTTPS is required (secure) and it’s a HTTPOnly cookie (which can only be read by the server). I have seen it happen where this kind of deleting actually results in a Persistent Cookie just becoming a Session Cookie – so the cookie is not really gone until we close the browser. Therefor it is always a good idea to assign the cookie no value (empty string). Below some examples illustrating the behavior in your browser. I did experience some inconsistency with the second delete, where we do set a value. Therefor I would recommend the last example where we set the value to nothing – just to make sure. Here you see again how important setting the path can be. As we have seen, handling cookies is not hard, but sometimes it’s nice to have some tools to make it just a little easier. Below a few tools, that might get you started. As you can see, we get all cookies that we are allowed to see back as an answer – not very practical when you’re looking for just one value pair isn’t it? So this is where we use the following simple function – I’ll show it with comments so you know what it’s doing. The workings of the function is explained in the code comments. The function I’m using here is limited to the basics like defining the value pair, and setting an expiration date. The path is fixed to Path=\. Expanding this function with “Secure”, “HttpOnly” and “SameSite” is not that hard – especially when we make it a fixed part. Note that with setting a Cookie I mean either update an existing cookie, or create it when it does not yet exist. Like I said, a simple function, applicable for most scenarios. The function requires a Cookie name and value, and optionally the number of days before it expires. Initially we create a new empty string for the expiration text. If the number of days is greater than zero, we will create a new Date object and set it to the current date and time increased by the number of days expressed in milliseconds. If the number of days is less than zero (-1 for example) then the expiration date is set to “Thu, 1 Jan 1970 00:00:01 UTC” which effectively deletes the cookie. Using the Web Developer tools, you can verify that the expiration date and path are indeed set. This function is also limited to a certain set of cookies, but again covers the majority. It takes one parameter: the path. If you leave it blank then it will take the root path (‘/’). As you can see this function is a little bit more complex, but basically we define a function in the function, applies for each cookie we find (based on splitting the string on the semi colons), where we look for what is in front of the equal (=) sign and paste no value, expiration time and path.